It’s been a great week. A really great week. 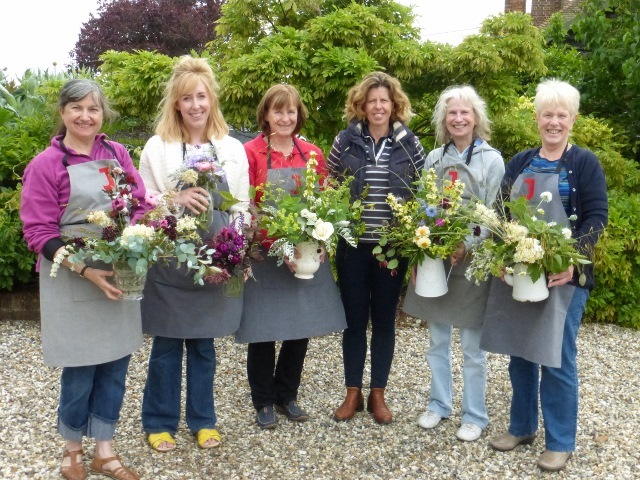 On Friday I teamed up with Anna from Anna’s Country Flowers for a flower arranging workshop on her farm in the heart of the Kent countryside farm in celebration of British Flowers Week. It was an amazing experience. 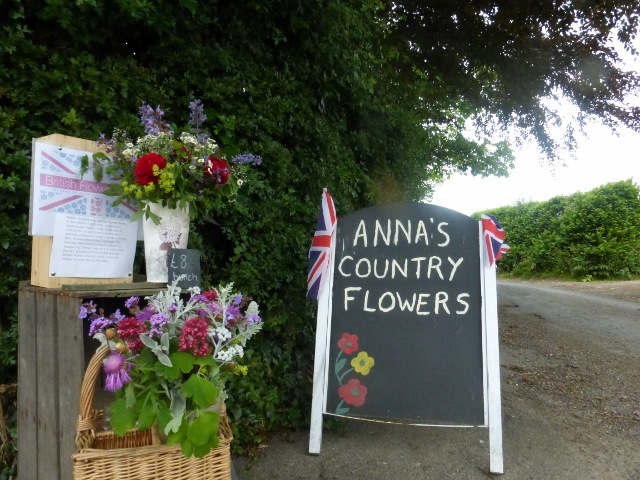 Anna told us about history of the farm and her background in growing – from working in a garden centre, a spell in salad crops in East Anglia, through to coming home to what is now the family’s apple farm, with her flowers alongside. We gathered in Anna’s kitchen, which is in the roundel of her converted Oasthouse and over a cuppa we got to know each other. 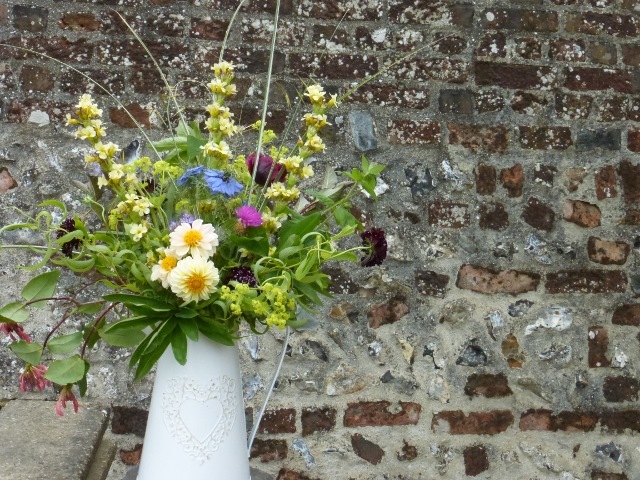 Anna showed us photos of the works involved in the conversion of the old farm Oast into her family home. 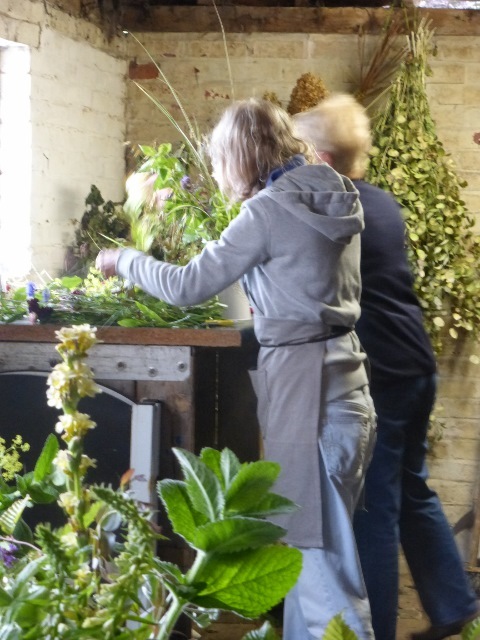 Next we moved into the old stables, which Anna uses as her workshop – here she sorts and packs the flowers she sells at Whitstable Farmers Market and at her gate – and then on into the gardens. 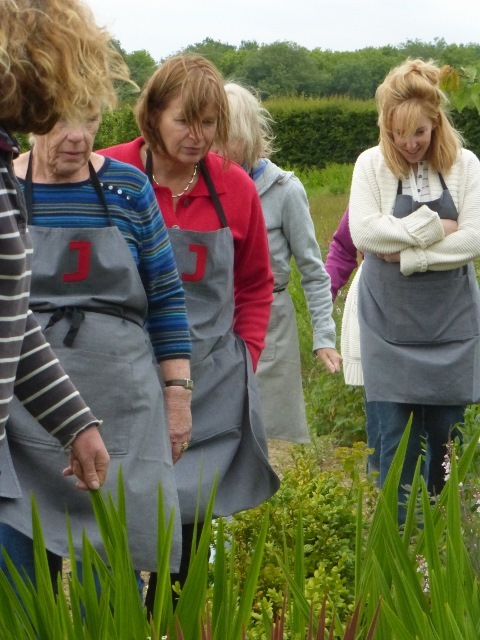 Anna took us on a tour through her gravel garden and across to her impressive peony and lavender beds. 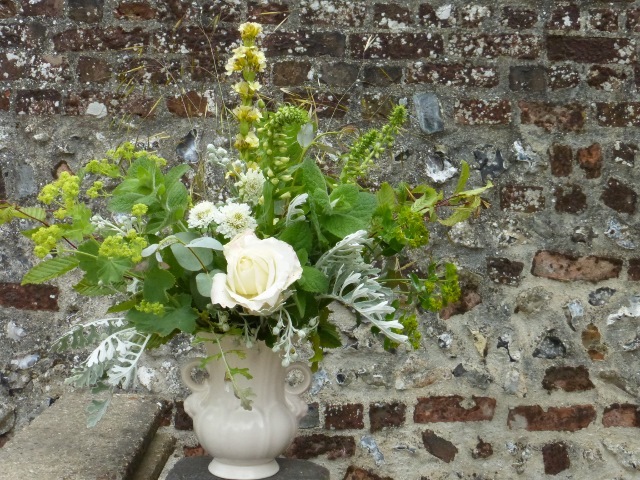 From here we went to the dark-leaved section of the garden with its central bed, and up into the kitchen garden, with its huge selection of herbs. 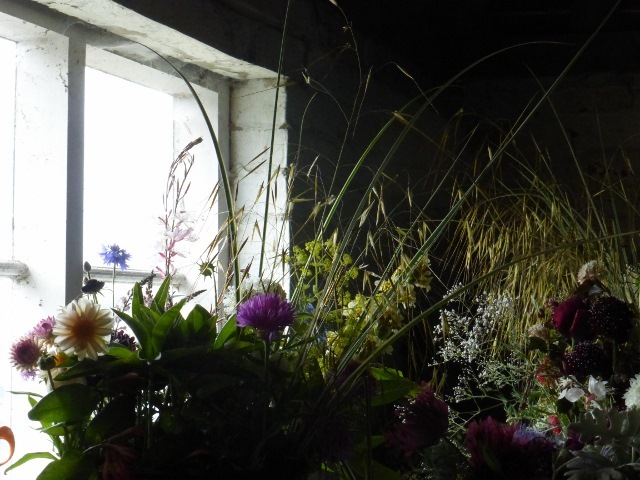 Up through the potting shed/glasshouse and then on into the adjoining paddock. This is where Anna’s has her main cropping beds and polytunnel. While Anna got lunch ready we each filled a bucket each with water and were left to our own devices. Decisions … decisions! 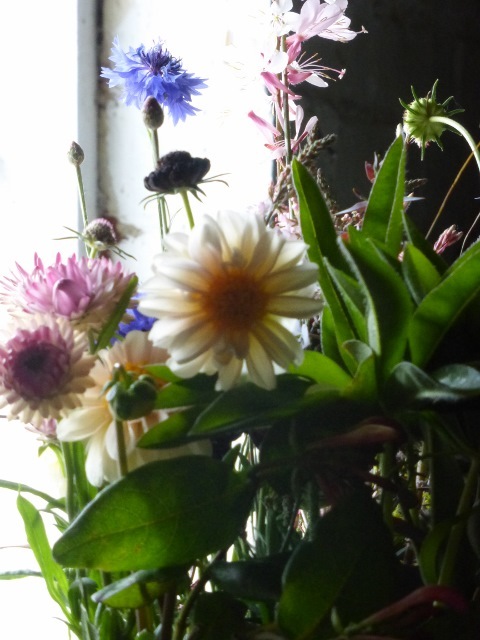 Some of us went for whites; a range a pinks or just a mad collection of everything that caught the eye. 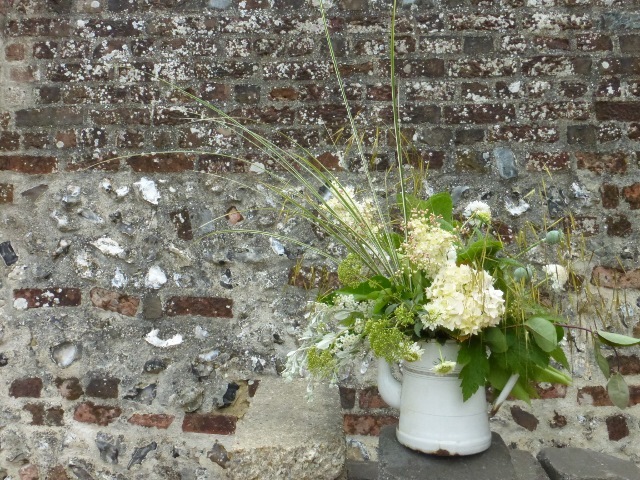 We left our flowers and foliage drinking in the cool of the stables while we sat down for lunch. Anna is an amazing cook. We tucked into green leaf and tomato salads, a delicious quiche and a pepper and onion tart. There was an amazing chocolate cake and fresh fruit for afterwards. As a bonus, we were joined by Anna’s husband, who gave us a really interesting insight into the life of a modern day working farm. Lunch over, we left Anna to the clearing away while we got went back to the stables. 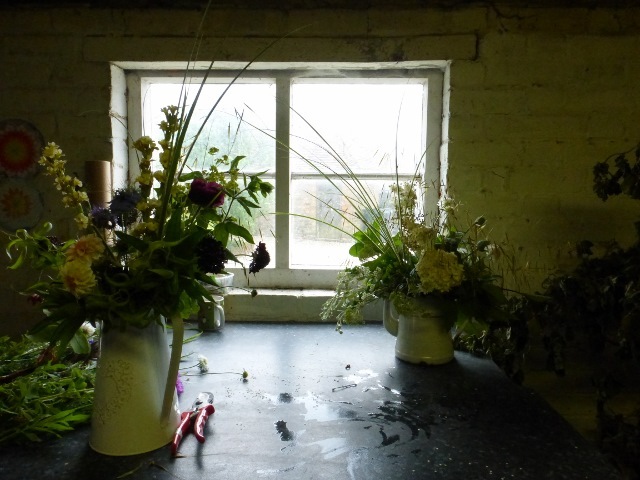 It was the perfect setting for a workshop with sunlight streaming through the open stable door. 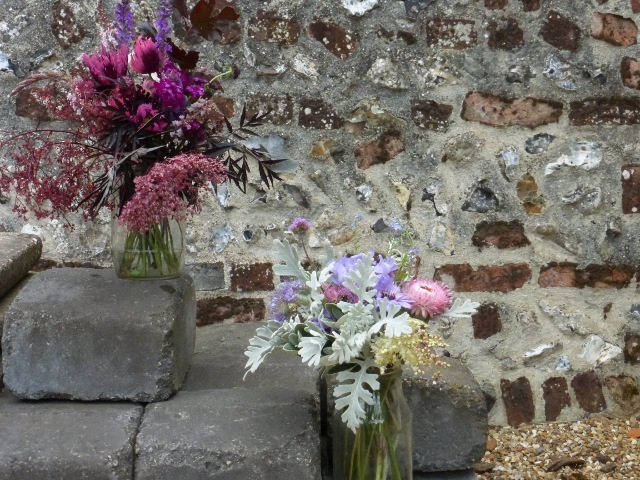 After demonstrating what the ladies could achieve with the flowers they had picked, they each got to work designing an arrangement suitable for the vase/jug they had bought with them – ranging from jam jars, to pottery jugs, vintage glassware and a fabulous French enamel coffee pot. 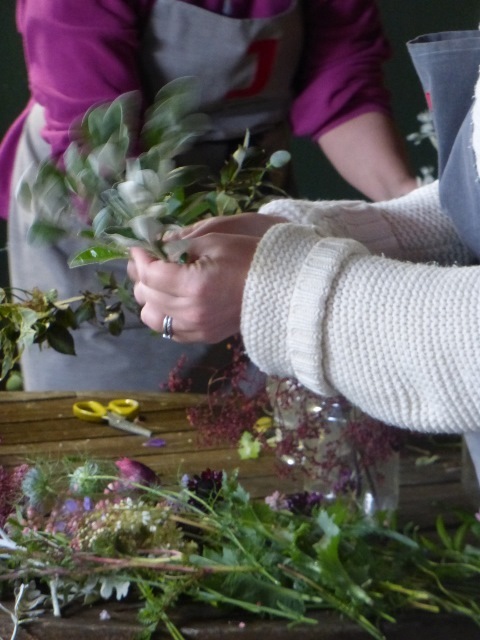 Anna and I are planning to team up on more events later this year – so watch this space! 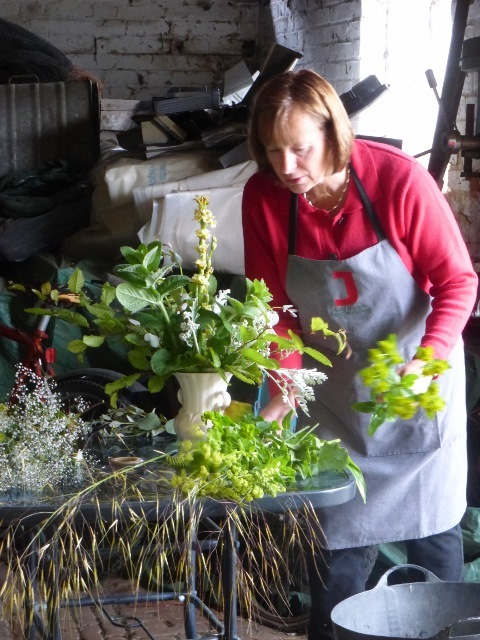 If you’d like to find out more about my next flower arranging workshops, you can sign up direct to my mailing list on the home page of my website – or, if you’d rather, just email me at julie@juliedaviesflowerworkshops.co.uk . There’s also a handy sign up form on my Facebook page that you can use.